Tachibana Ikumi is a normal high school student. He is not very popular, is very lazy and weak. One day while being bullied a strange power awakens in him, and soon after a beautiful girl comes and tells him that he must learn how to control his power because his power is what will save the world. Kuroda Ikumi seems like a normal underachieving high school student, however he is hiding a secret. He is actually the son of the King of the Spiritual World who is living among the humans to study them. Ikumi No Himitsu was serialized in Shounen Magazine until December 20, 1995 (1996 3+4). 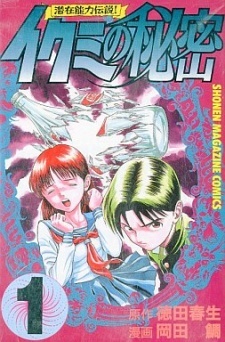 Serialization was moved to Magazine Special on May 20, 1996 (1996 No.6).